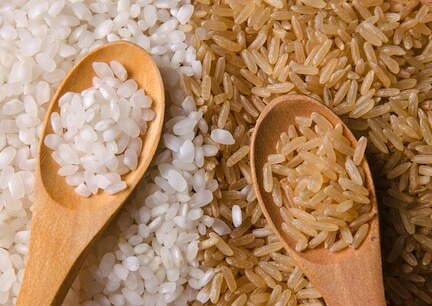 Brown and white rice are often compared to each other in terms of their nutritional value. Brown rice vs white rice — which is best? — that’s a common question and one that we’ll explore here. Among the numerous varieties of rice in the world, the two most prominent ones are brown rice and white rice. There are other more exotic varieties like Japonica and forbidden black rice, but we’ll limit this discussion to brown and white. Brown rice is widely considered to be more nutritious than white rice. However, white rice seems more pleasing to many palates; being more processed than brown rice, some find its texture more appealing. This versatile grain is consumed by people all around the world. And it also serves as the staple food for many people, mainly in Asian countries. Let’s first go through a few facts about both varieties of rice before concluding which one is better. White rice may be the most commonly consumed type of rice among the varieties of rice. White rice goes through more polishing and processing due to which the bran and germ are removed, along with their valuable nutrients. White rice contains much less fiber than brown, and higher in carbohydrates. It effectively boosts the immune system and manages blood pressure. Both varieties of rice contain some amount of starch, which may help improve colon health. White rice may have a few essential nutrients but not as many; it is, in many areas, replenished with B vitamins that were stripped away with processing. Still, white rice provides energy and promotes muscle growth. Brown rice, on the other hand, is a whole grain that contains the important fiber sources, bran, and germ. It has more fiber and antioxidants. By skipping the processing, brown rice retains a higher amount of vitamins and minerals. The antioxidants present in brown rice can help prevent chronic diseases. Brown rice protects against heart disease and reduces cholesterol levels. It also lowers the blood pressure and reduces the risk of type 2 diabetes and metabolic syndrome. 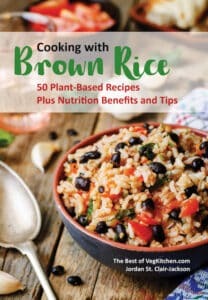 Consuming brown rice instead of white rice may help reduce weight. There are just a few minor downsides to brown rice: It tends to spoil faster than white rice (that is, go rancid if not used up in a reasonable time). It also takes longer to cook, and is not as easily digested. And it tends to harbor those pesky yet harmful grain moths, which is why it’s important to rinse your brown rice before cooking. 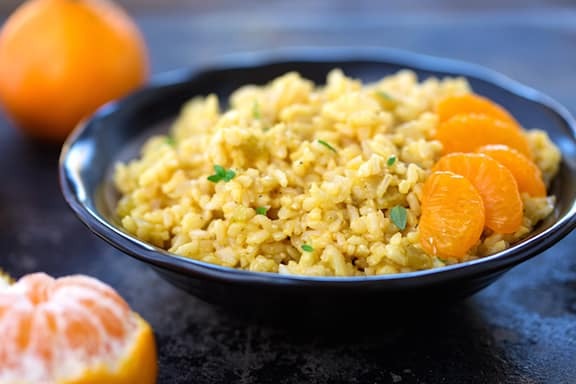 While some might argue that white rice has a better mouth feel and is the convenient option, brown rice is better in terms of nutrition and health benefits. Those who consume it regularly come to prefer its nuttier taste and slightly chewier texture. 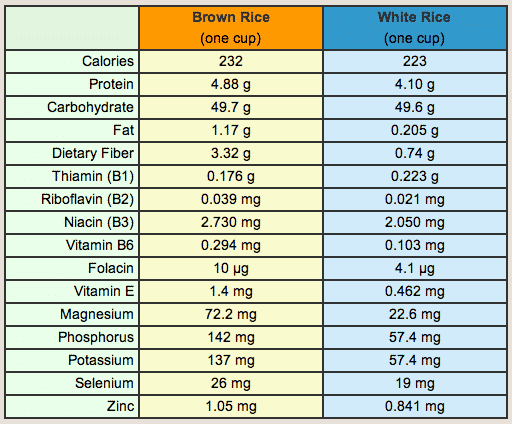 Despite the factors discussed above, white rice is not a bad food, and not devoid of nutrients, as you can see in the chart above (many of those due to the enriching process). It may well be considered healthy to consume in moderate amounts. When it comes to the question of brown rice vs white rice, either variety can be part of a healthy diet, though brown clearly has the edge nutritionally. Contributed by Vineetha Reddy: Being a regular practitioner and adviser of everything related to nutrition, fitness, health and wellness, I also have begun to write and contribute to this knowledge ecosystem on sites like LifeHacker, StyleCraze, and ElephantJournal. I strongly believe that the ingredients you find in your pantry provide the best benefits for good health. Follow me for my best ideas and solutions on Twitter.